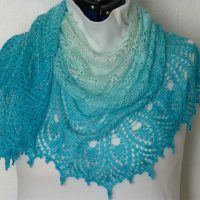 Custom Order: 1001 Nights by the Sea shawl. 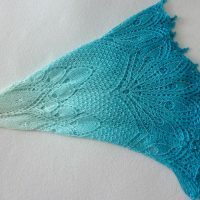 1001 Nights by the Sea shawl. 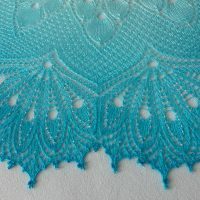 With thousands of sparkling silver-lined beads, 1001 Nights by the Sea shawl glimmers, as if a full moon cast were casting its light across a calm, nighttime sea. 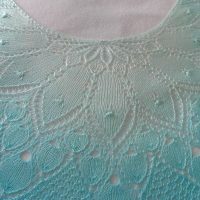 It’s vibrant turquoise-to-aqua-white gradient is sure to create a whirlpool of compliments. The perfect accessory to wear when you long for a stroll along the beach. 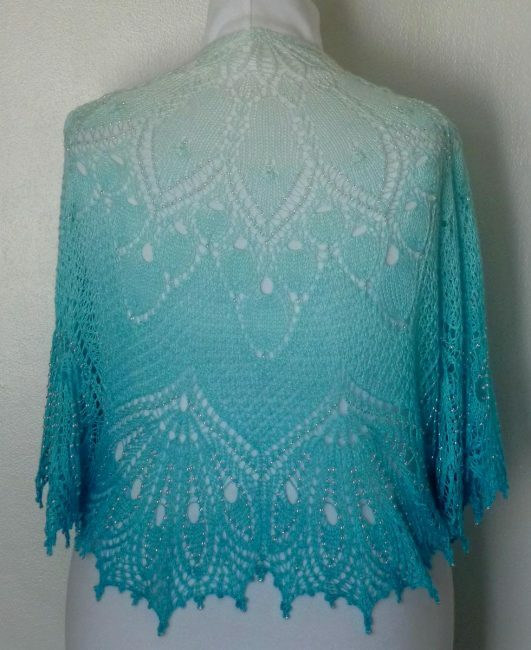 This was a custom request as the buyer wanted a shawl very similar to the Traveling Shawl. Amy was generous enough to send me her last Pure Turquoise yarn in the regular twist, and I just fell in love with this colorway. I will definitely buy more when she has it available to make one for myself. Color: Off-white to purple gradient. Size: One size, Measures 56″ wide by 26″ long. Gently hand wash – Lay flat or dry clean. Click images for full size photo. 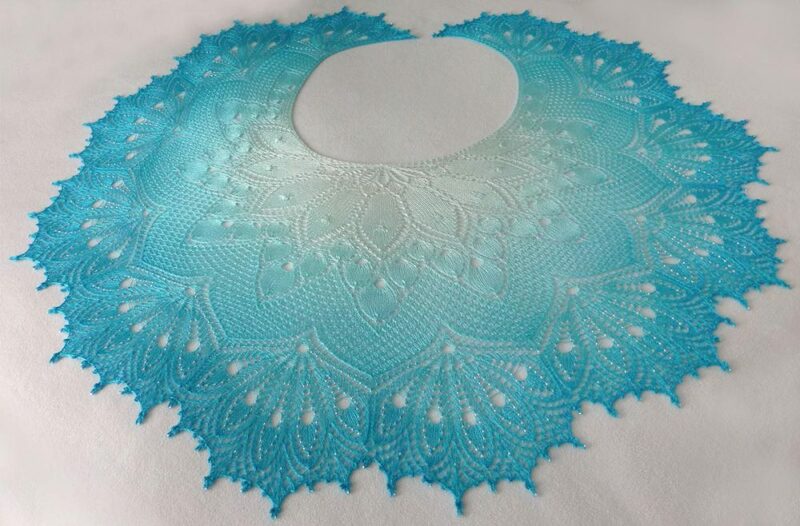 *Special thanks to Anne-Lise Maigaard (1001 Nights) and Nim Teasdale (Don’t Panic) for creating such a beautiful pattern and to Vivid Fiber Arts for dyeing such beautiful yarn.